I have absolutely nothing against people riding bicycles – in fact it is an excellent form of exercise and good for the environment. What does cause me annoyance is cyclists using footpaths to complete all or part of their journey. Why don’t they use the road? The clue is in the name of the route they seem to use more often than not – footpath. It’s not a cycle path. Also, when they do use the road they invariably ignore traffic lights and ride straight through red lights and over pedestrian crossings when they are in use. It would seem that a section of the cycling fraternity believe that some or indeed most of the rules of the road do not apply to them and also that pedestrians are lower down the food chain than cyclists. I understand that they do suffer various levels of verbal and physical abuse and in a lot of the cases that abuse is unwarranted but cyclists too are quite happy to hurl abuse at drivers and pedestrians when they think that they have been wronged even when it is they who have transgressed. They have a right to be on the road but footpaths must be off limits and they must abide by the rules of the road. I also have a question: if a cyclist, whilst riding on a footpath or a road, collides with a pedestrian and causes injury are they, the cyclist, insured for any subsequent claim from the injured party? Also, if a cyclist collides with a vehicle and is proven to be at fault are they insured to pay for any damage caused to the vehicle? Indeed, as things stand, who actually pays for the damage? Motorists are required by law to pay road tax and to be insured for at least third party, fire and theft. Shouldn’t the same apply to cyclists, especially for third party? I’m not advocating that they pay road tax but the cyclist should have some sort of insurance coverage to cover the cost of any claims arising from injuries or damage the cyclist has caused. Also, shouldn’t cyclists be required to wear high visibility clothing and head protection at the very least? The wearing of Hi-Vis clothing should be mandatory as it, at least, gives drivers a chance to see them. Also, cycling on footpaths should be prohibited. I realise that there are not enough cycle lanes but footpaths are for pedestrians. Cyclists must make themselves more visible, stay off footpaths and wear head protection as a minimum. If they wish to be taken more seriously, be respected and help reduce the likelihood of personal injury, then they must act responsibly by respecting pedestrians, other road users and the rules of the road. The sovereignty and unity of the Irish Republic must be the basis on which a future united Ireland proceeds. While an end to Britain’s claim to sovereignty remains the first step, the All-Ireland Dáil should from there be restored, to sit in Constituent Assembly. 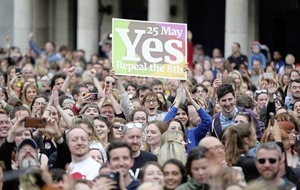 There, new constitutional arrangements, premised upon Ireland’s right to national freedom, can be negotiated and agreed among and between the Irish people, with the Irish people – through national referendum – deciding ultimately as to whether they should go forward. The sovereignty and unity of Ireland must likewise be the basis of any negotiating process that sets toward constitutional change. While the form and structure of a ‘New Republic’ are matters for the Irish people to thrash out, this much must be non-negotiable. 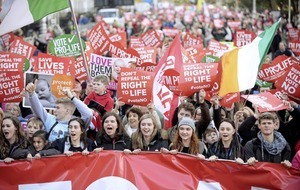 Republicans must build support for this line if the ‘agreed new Ireland’ of Varadkar and his ilk, given succour of late by the utterings of Mary Lou McDonald, is somehow to be stopped in its tracks – a concept already more advanced than may be realised. This revisionist notion, first entertained by Hume’s SDLP, is an aberration from the republican object and sets out to retain a residual British presence in Ireland ‘post-Irish unity’ – even after Britain’s own terms for leaving have been met. Needless to say it must be opposed, root and branch. But rather than retreat into ‘rejectionism’, republicans must build a grassroots campaign – one that engages ordinary people and popularises, thus, the Republic. It is through such initiatives we can best mount a bulwark against this emerging threat. I don’t believe there were any contradictions in Sinn Féin president Mary Lou McDonald’s comments made recently on a border poll. Her fist comment, while the ‘dangers’ posed by Brexit were present, it was not the time for a border poll. She was right. There is too much currently going on with Brexit, that it would not be an opportune time to have an added issue such as a border poll. It makes sense and would have been generally accepted. Her second comment made a few days later when she said that if there was to be a hard Brexit next year, the British government would have to hold a border poll. 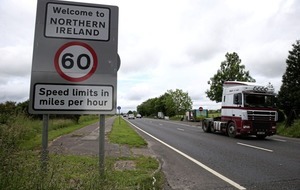 Yes, in a drop dead situation when all ongoing talks have failed and a hard Brexit was the outcome, then a consensus should be maximised for the British government to enforce under the terms of the GFA to hold a border poll. The only fault found with the comments, they were made apart and in context with the unfolding Brexit negotiations. If she had made the two comments simultaneously they would have been understood. Well, I declare, Karen Bradley deus ex machina, her of the grandiose title secretary of state for Northern Ireland, enthrals us with the riveting news that she is going to the GAA All-Ireland final. This while the wee six festers with a seemingly incurable political malady. Here at the behest of Theresa May and vying with James Brokenshire as the most ineffectual secretary in the history of the state she has done nothing to mitigate the detestable duopoly created by the DUP and Sinn Féin. We can only ponder what her agenda is in attending the All-Ireland Final but this is her opportunity to make one positive contribution since her arrival by presenting her ticket to a deserving follower of the sport. A simple and heartfelt thank you to the staff of Antrim Area Hospital for saving my life. In recent years the lack of investment in the NHS has witnessed a cut in services and staff but when I became ill this April, the on-call doctor from Dalriada immediately sent for an ambulance. The A&E staff called in the heart and respiratory consultants and within an hour I was placed in quarantine in the cardiac care unit. Eventually I was diagnosed with the flu which has taken so many lives, had double pneumonia and my heart was in severe distress. There were moments when I did not believe I would survive but the intervention and fantastic care of the medical staff gave me a fighting chance. It is important that when dedicated staff face so much criticism and pressure in the current ‘blame’ climate that recognition is also given to the positive outcomes of their perseverance and professionalism. So to the doctors, nurses, auxiliaries, catering, cleaning and porter staff, thank you for all you did and continue to do.